Arthur Bright will have watched the red-sandstone church of St. Matthew and St. James being built when he returned home to Liverpool from Eton during the school holidays in the early 1870s. He cannot have imagined that before the close of the same decade his would be one of the first military memorial plaques to be mounted on its walls. When he was commissioned into the 90th Light Infantry in January 1878 Arthur was the sole surviving son of Tyndall and Mary Bright, his elder brothers William and Robert having died aged three and twenty-two respectively. From a Bristol slave-owning family, Tyndall was a shipowner and merchant in Liverpool, and for most of his time on Merseyside lived at a house called Woodcote, in Aigburgh, which is where the family, including daughters Caroline and Emily, were living when Arthur joined up from Sandhurst. Arthur sounds like the stereotypical Victorian hero. He was bright, handsome, and stood over six feet tall. He played rugby for the First XV, was the school’s top polo player, and Captain of Rowing. On top of that he was an excellent draughtsman (which was to become important later on) and had a beautiful tenor voice (his favourite song was called ‘Nancy Lee’). Soon after receiving his commission Arthur was posted to South Africa, and saw action against the Gaika under Sandile in the Pirie Bush during the Ninth Xhosa War, where he was sent to use his drawing skills by sketching enemy strongholds. From there his regiment joined Lord Chelmsford as he invaded Zululand in January, 1879. It would be fair to say that this invasion was the culmination of a carefully orchestrated plan by the High Commissioner for Southern Africa, Sir Bartle Frere. Frere’s grand aim of a federal South Africa needed Zululand, and so the independent Zulu kingdom had to be removed, hence a concoction of grievances, the imposition of impossible demands, and then the invasion. The Zulu army, although large (at an estimated 35,000 men twice the size of the British force), was predominantly a civilian militia, and mainly armed with spears. A professional army, with up-to-date firearms, should have no trouble, or so Frere calculated. At this point I will say that this story is not going to Isandlwana and Rorke’s Drift. When Chelmsford entered Zululand he split his force into three columns. His main force headed for the Zulu capital at Ulundi, and it was this force that was defeated at Isandlwana. The southern, or right, column, under General Charles Pearson, found itself besieged at a missionary station in Eshowe from January 26th to April 3rd. The northern, or left, column, under Colonel Evelyn Wood, was sent to contain the Zulu forces in the north-west, to prevent them from joining the main Zulu army in its engagement with Chelmsford’s main column. It was to Wood’s column that Arthur Bright’s 90th Light Infantry was attached. On January 22nd events in the form of Isandlwana overtook both southern and northern columns. When news of the defeat arrived both commanders paused to assess the new situation. As stated above, Pearson encamped at Eshowe and found himself besieged. 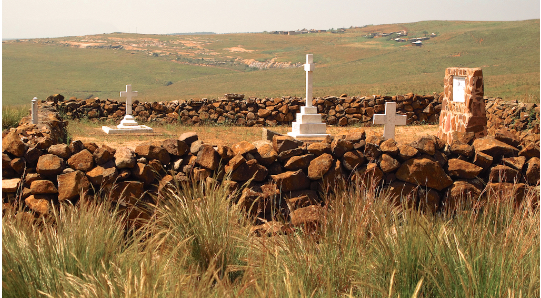 Further north Wood was planning to attack a Zulu force based on a flat-topped mountain called Hlobane, but he called that off when news of Isandlwana reached him, and he retreated to set up a laagered camp on a hill named Kambula. Here he dug trenches, built earth parapets and a stone redoubt for his guns, erected a cattle kraal, and waited. Eventually Wood, with none of the Zulu reinforcements he had anticipated having turned up, decided he could tackle the force at Hlobane. On 28th March he attacked, but with impeccably poor timing a sizeable Zulu impi arrived, and Wood’s men were driven off, back to Kambula. There Wood and his two thousand men again waited. The Zulus before Kambula were under orders not to attack, but to attempt to provoke Wood to come out into open ground to fight, where their superior numbers and greater understanding of the ground would give them an advantage. However, a diversionary sortie by a small force under Lieutenant-Colonel Redvers Buller proved too much of a provocation for one Zulu regiment. That regiment launched an attack against Wood’s laager, and was followed by the main army. For three hours the fight ebbed and flowed, at which point Wood decided the main Zulu force advancing up the slope might prevail, and so ordered the pipe-smoking Major Robert Hackett to launch a counter-attack with two companies, bayonets fixed, to drive them back. Arthur Bright led one of the companies. As the Zulus breasted the lip of the slope Hackett’s men arrived and drove them back, successfully disrupting the attack, but the numbers of the enemy inevitably forced a retreat. As they drew back Zulu marksmen, hidden in manure piles on the edge of the cattle kraal, opened fire. Hackett was shot in the head and blinded, though he found his way back. Colour-Sergeant Thomas McAllen was also shot in the head, but he was killed. Lieutenant Arthur Bright took command but almost instantly was shot through both legs, dragged through the laager gate by his men, and carried into “the hectic confines of the small hospital”, where Surgeons James O’Reilly and Anthony Lennon Brown treated the wounded. One of the surgeons treated one of Bright’s wounds, but in the chaos missed the other leg, the one with the punctured artery. As Bright bled to death the Zulus abandoned their attack. They left two thousand dead on the battlefield, while Wood’s force lost twenty-nine killed. Confidence shattered the Zulu army in the north broke up and dispersed, mostly back to their home villages. Only a fraction made their way back to join Cetshwayo in his final defeat at Ulundi. The news of Cetshwayo’s defeat probably reached home at the same time as Arthur Bright’s death. Memorial plaques were installed in his home church of St. Matthew and St. James in Liverpool, and his father’s family church at Abbot’s Leigh outside Bristol. Arthur’s sisters lived until 1932 and 1941, but with Caroline’s death in her late eighties the direct family line ended, all the hope and promise of Arthur Bright’s schooldays bleeding out into the Natal dirt. 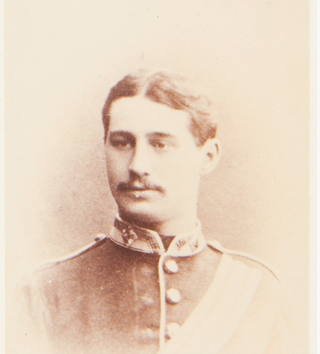 ​IN AFFECTIONATE REMEMBRANCE OF ARTHUR TYNDALL BRIGHT, LIEUTENANT 90TH LIGHT INFANTRY WHO WAS KILLED IN ACTION AT KAMBULA CAMP, SOUTH AFRICA, MARCH 29 1879. AGED 21 YEARS & 7 MONTHS. THIS TABLET IS ERECTED BY HIS FRIENDS.